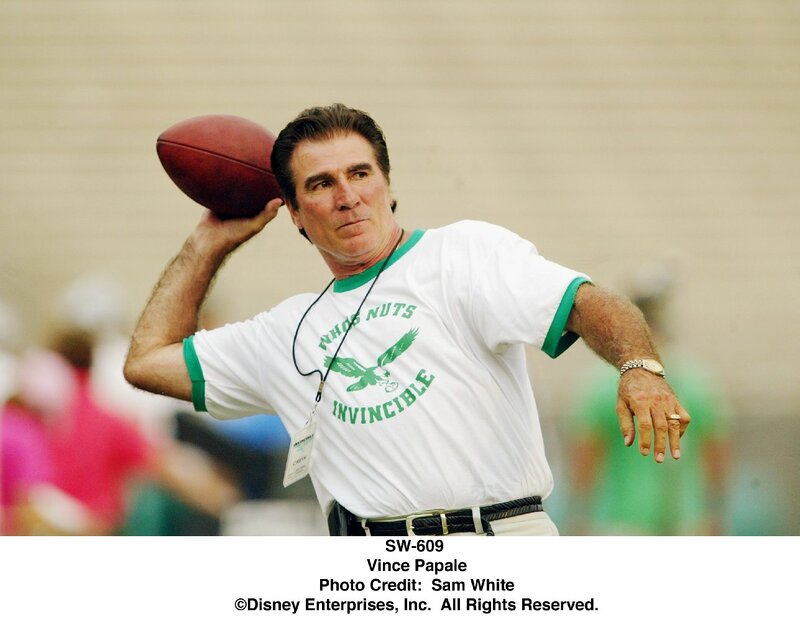 There's a sugar coating to the way Papale's story unfolds, but not so much that you'll spoil your dinner. 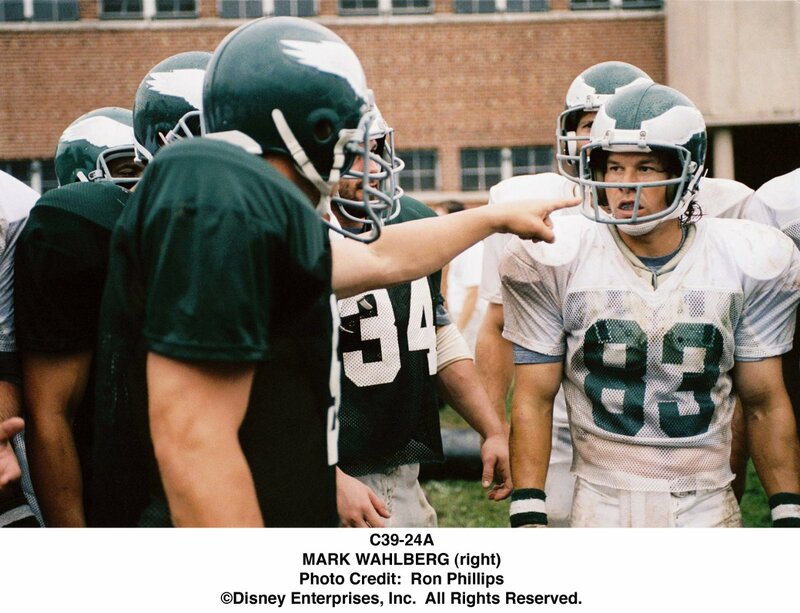 Even Papale's most famous play, recovering a fumble to set up a touchdown, is embellished, as if Disney can't bear to stick with the facts. 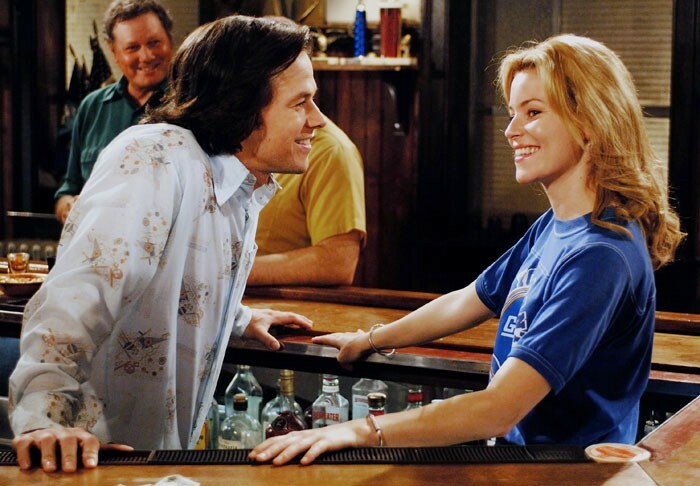 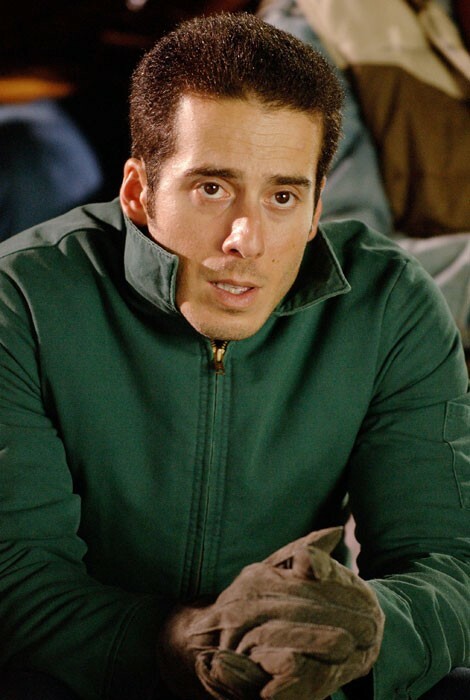 Invincible is a working-class jock Cinderella fantasy with the sincerity of a beer commercial, the soul of a Republican incumbent, and the designer-flannel esthetics of an old Bruce Springsteen video. 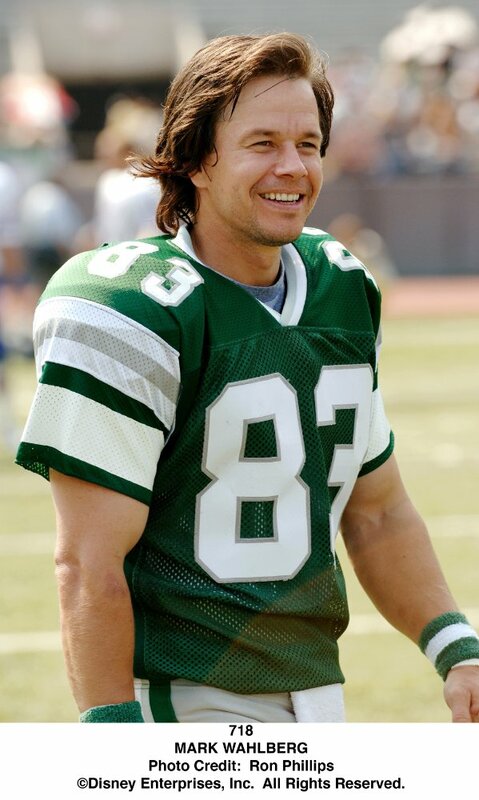 It may not break new ground, but Invincible is an entertaining film, awash in clichés but leavened by the charismatic performance of Mark Wahlberg as Vince Papale. 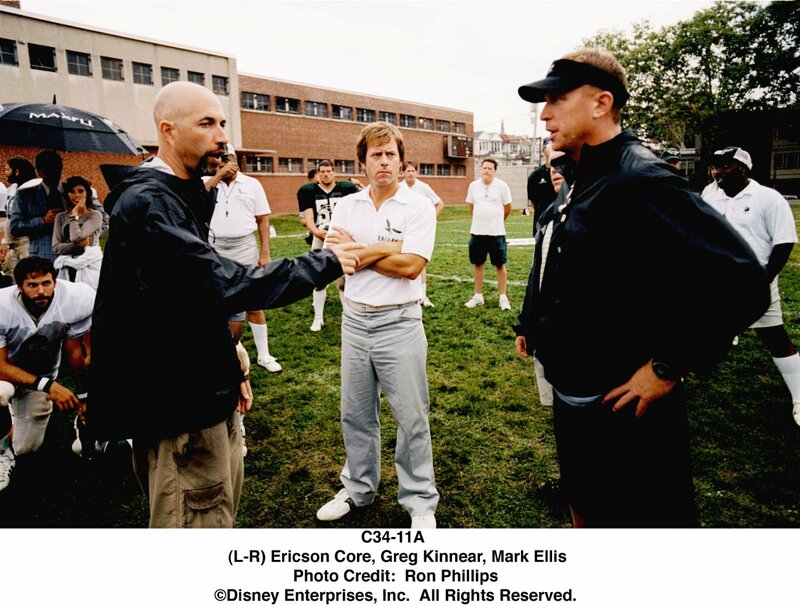 What's modestly refreshing about the way this story is told by director Eric Core and writer Brad Gann, is that the person with the largest doubts about going pro is Papele himself. 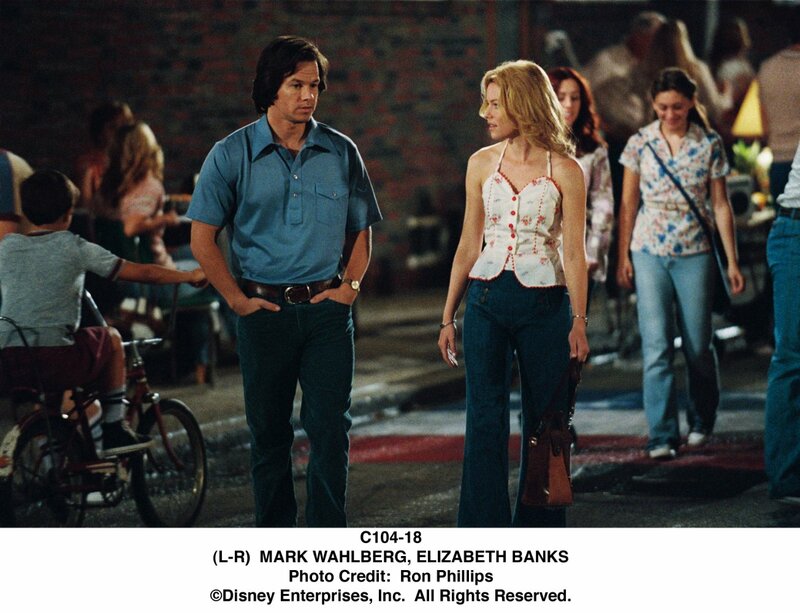 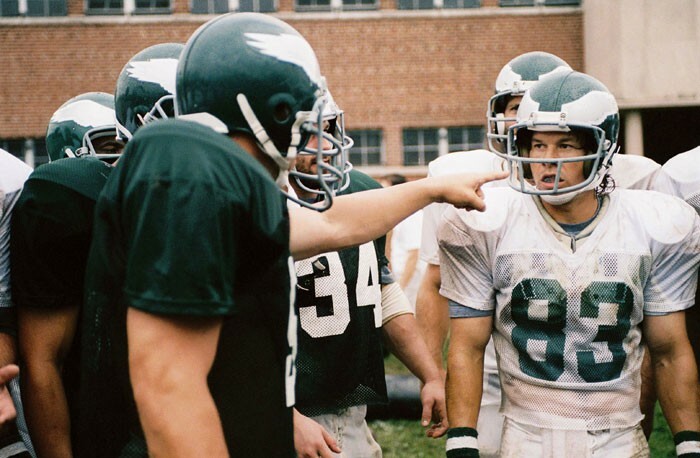 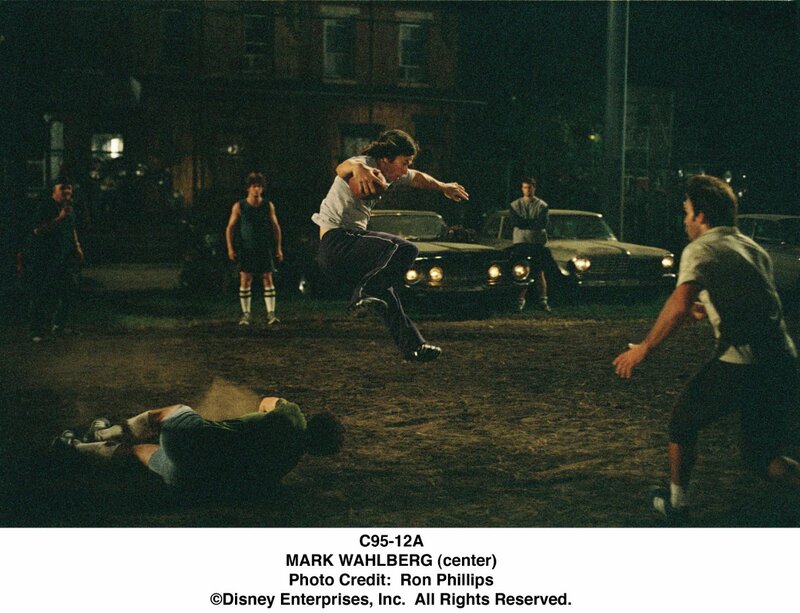 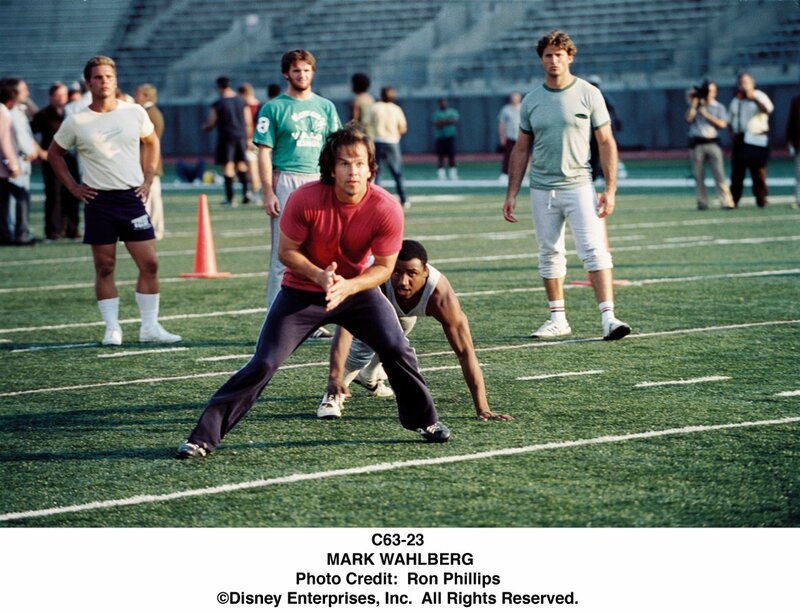 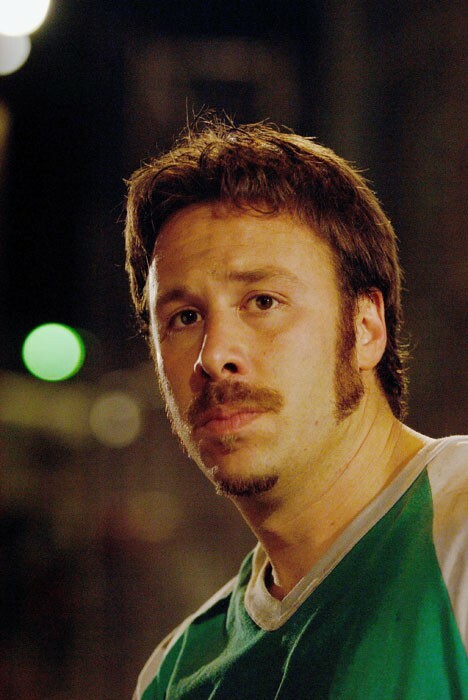 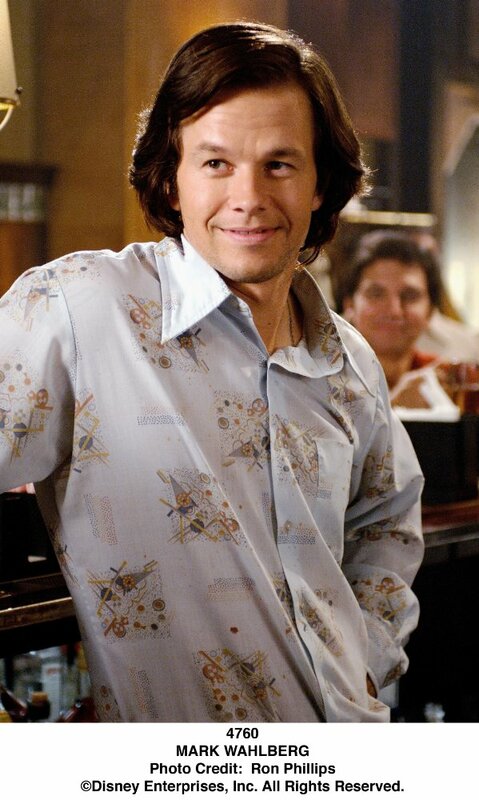 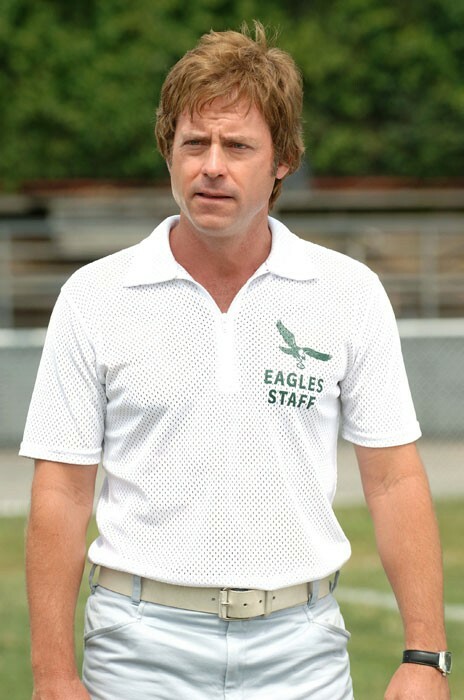 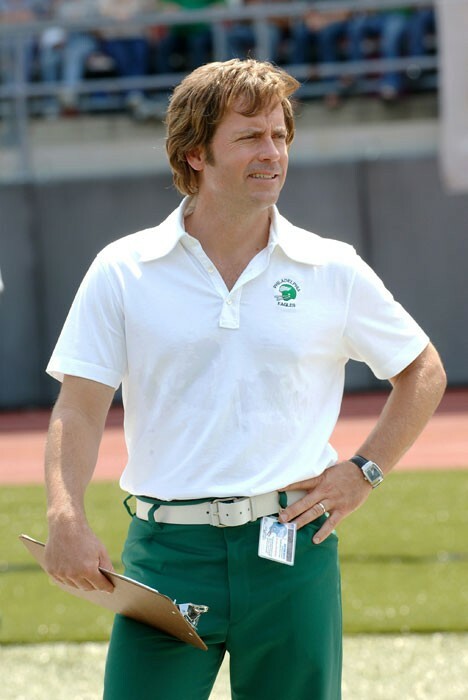 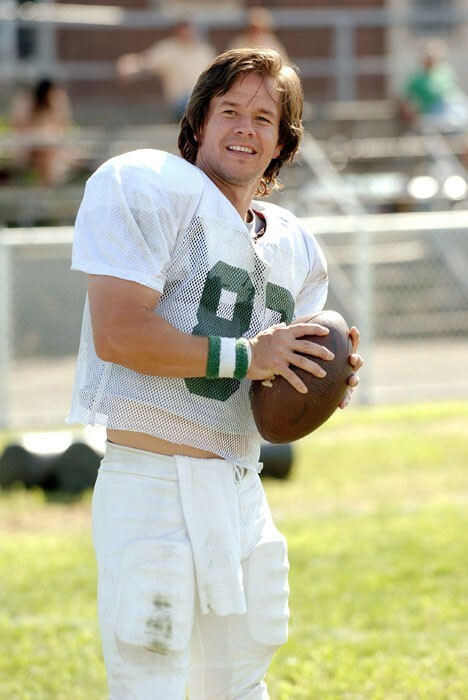 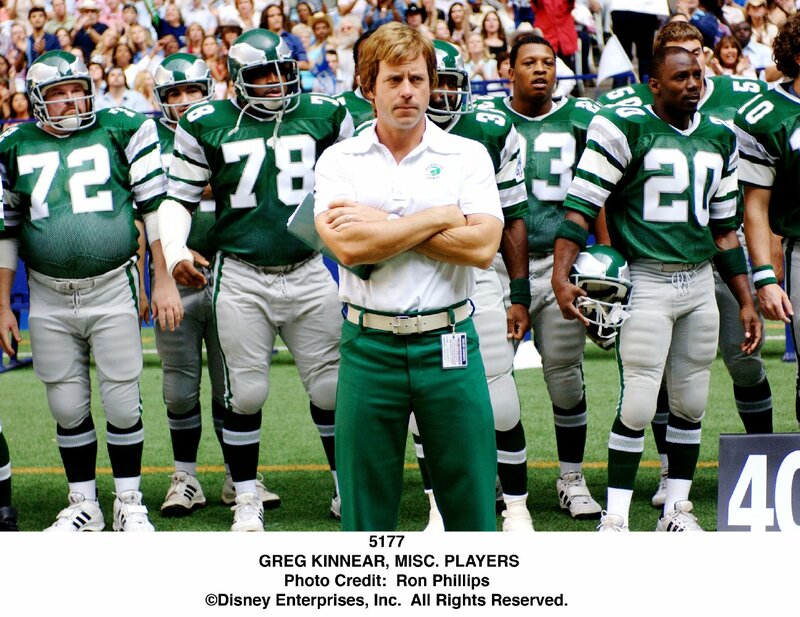 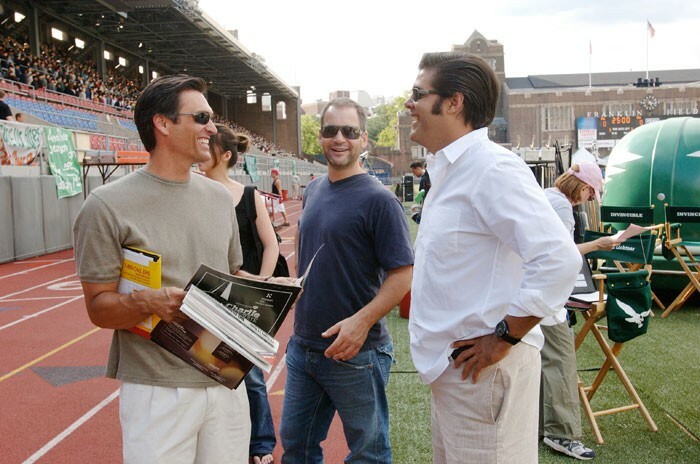 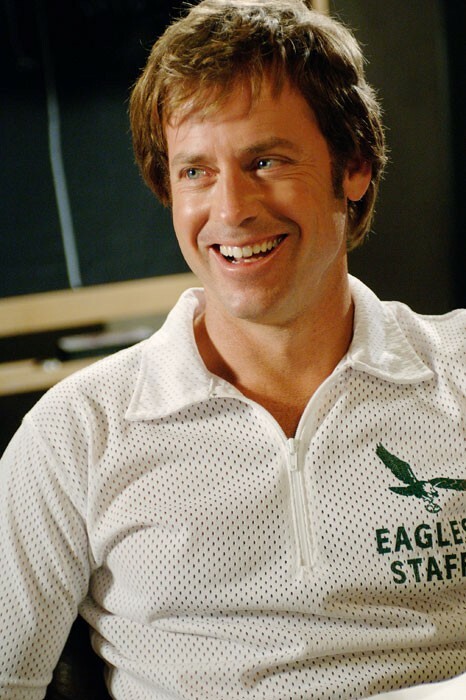 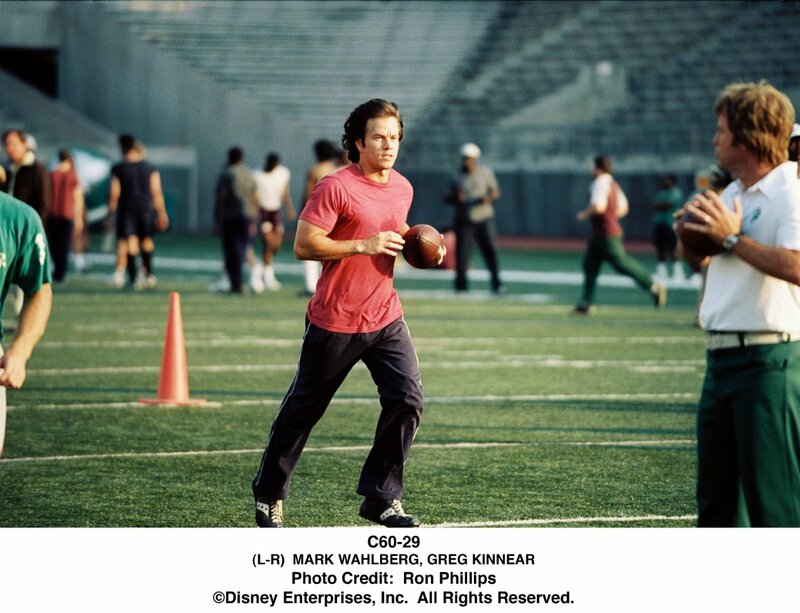 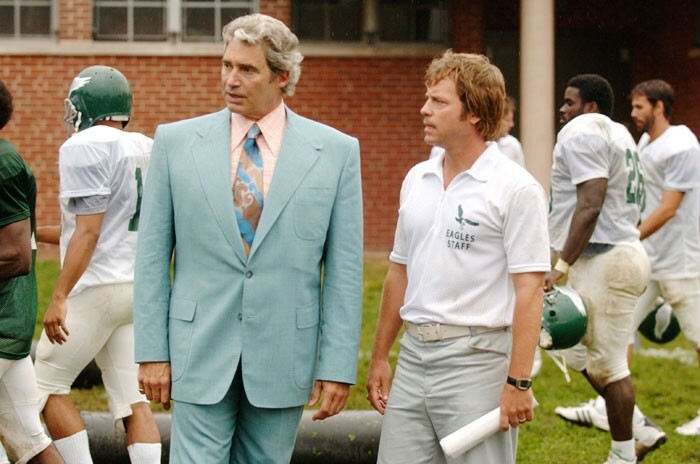 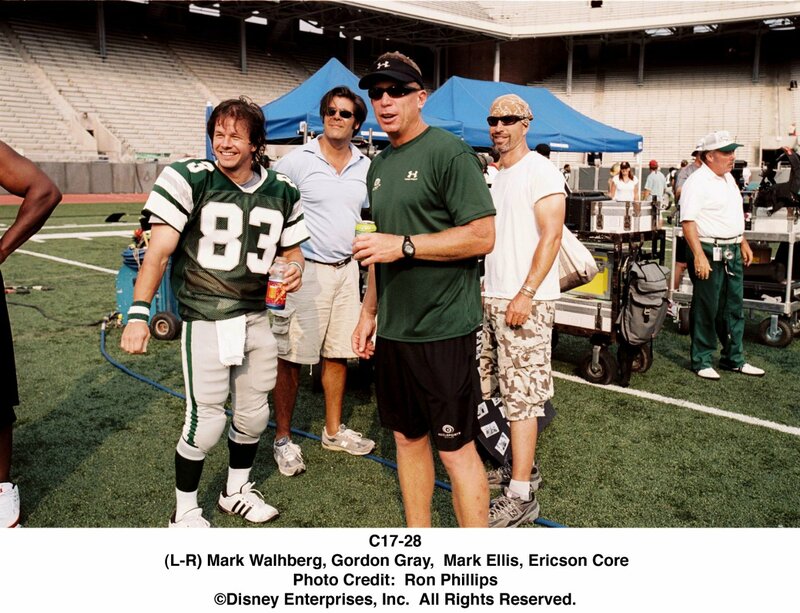 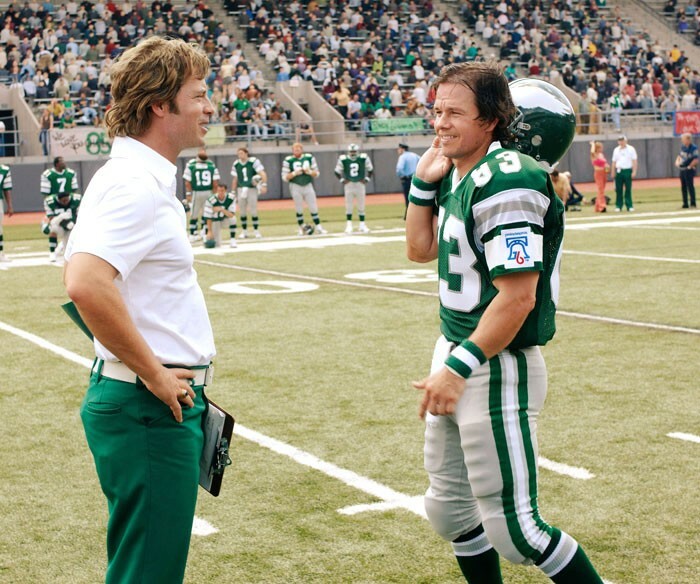 Mark Whalberg is surprisingly good, delivering a likeness to the real Vince Papale that is uncanny. 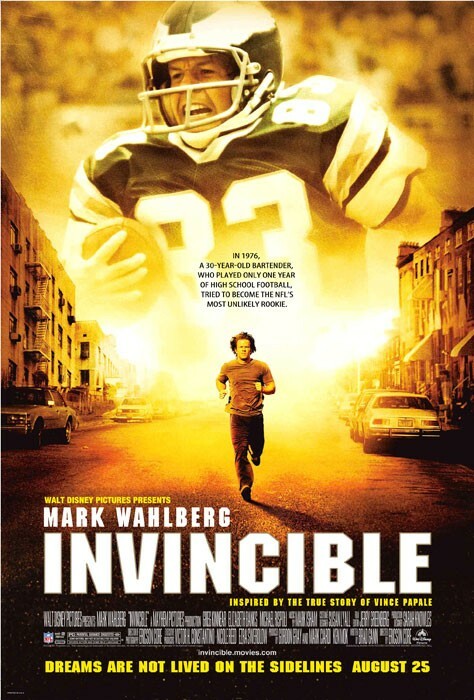 It may seem that Invincible takes too long to get to the football. 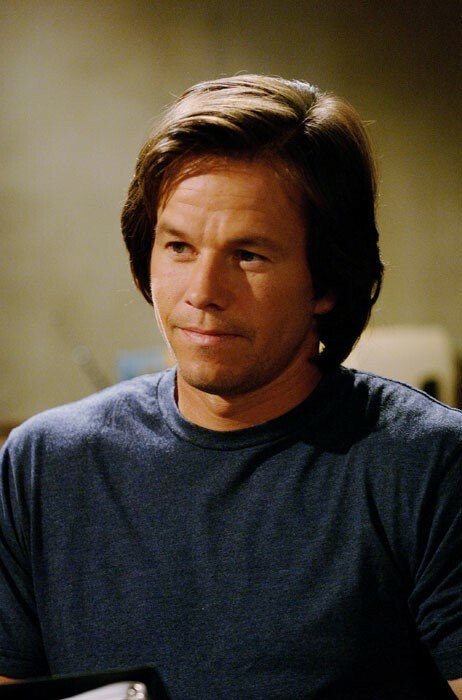 But by the time it does get down to it, we've invested enough in Wahlberg and Kinnear to give a damn about the outcome of the all-important Big Game. 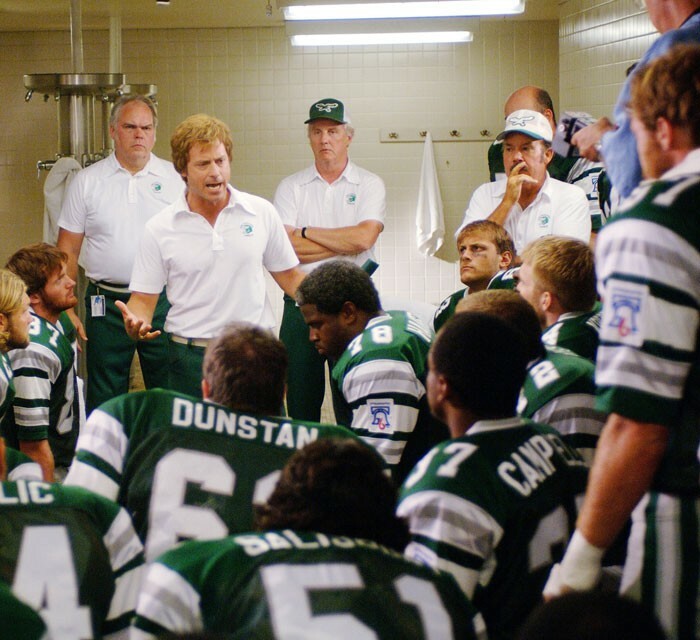 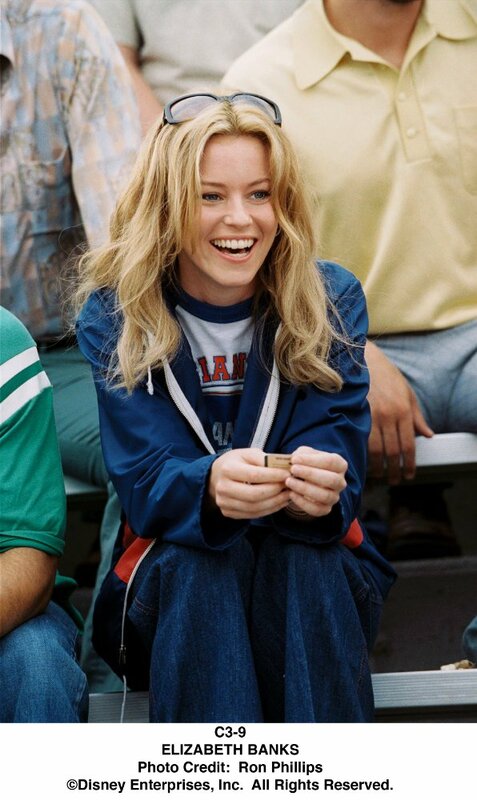 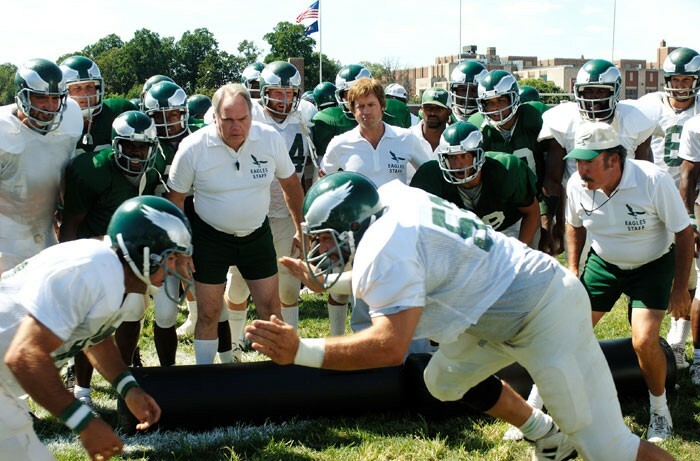 I wonder how many more of these inspirational sports films we have to sit through in 2006. 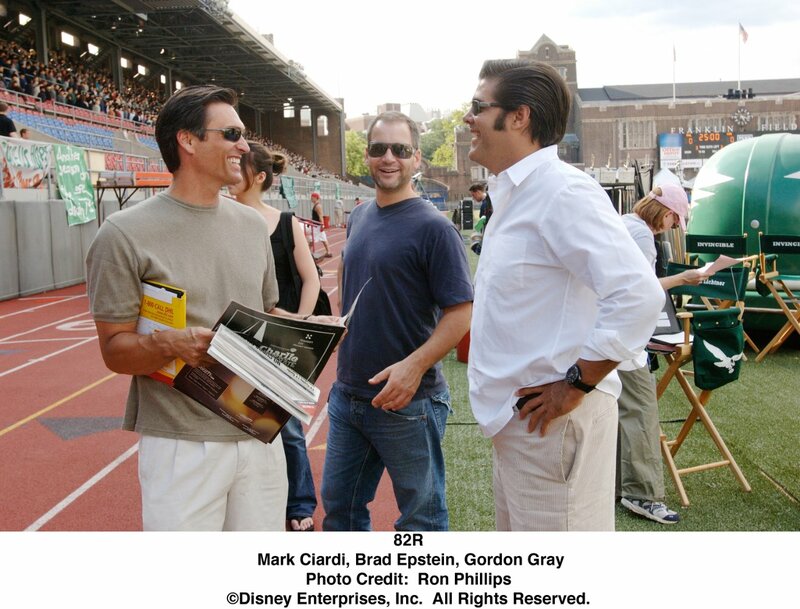 Screenwriter Brad Gann shares the guilt for this predictable cinematic travesty along with composer Mark Isham whose bombastic musical score is akin to hammering a nail with a shotgun blast.